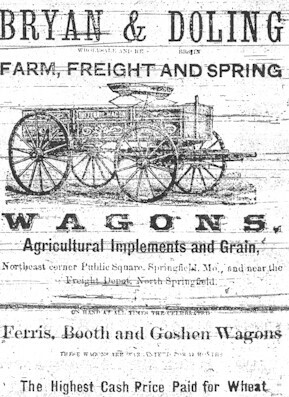 The first year after the war, the average price for good farm land was $20 per acre. Land less profitable was selling for $7 an acre. 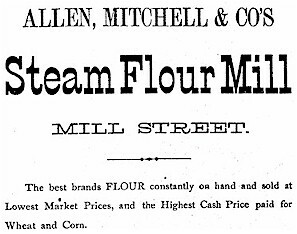 There were eighteen flour mills in the county and an implement factory in Springfield owned by Piper and Norberry who had their own patented plow. 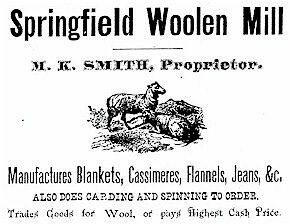 It was estimated that 6,000 sheep were now grazing the prairies of Greene County and were expected to produce 25,000 pounds of wool. 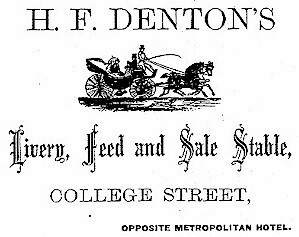 Photos from Springfield City Directory, 1866.